As the stucco & stone trends emerge more and more, these two textures are suitable together for many projects. It creates a higher level of visual impact whether it’s a stone skirt or complete accent walls to better define the look of a home. Our stucco mouldings are manufactured by Decora Wall Inc. that uses a process that provides a strong, resilient and cost effective decorative moulding, perfectly suited for window trims, doors, sills and other exterior decorative elements. 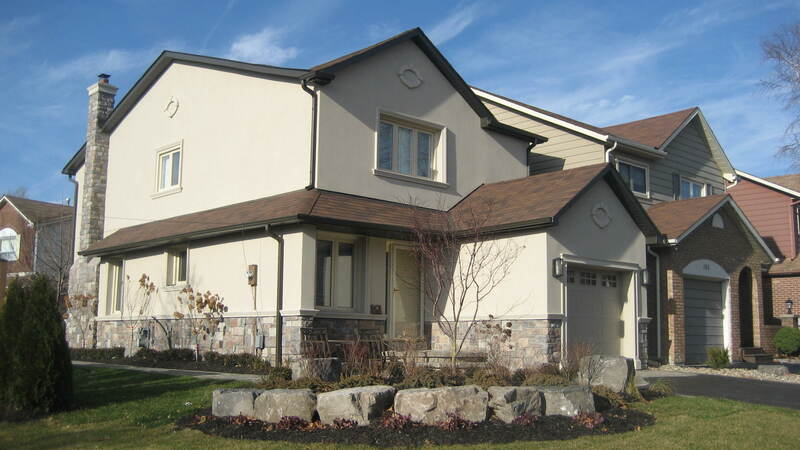 Renovating or retrofitting with stucco/EIFS is a good choice for older homes. 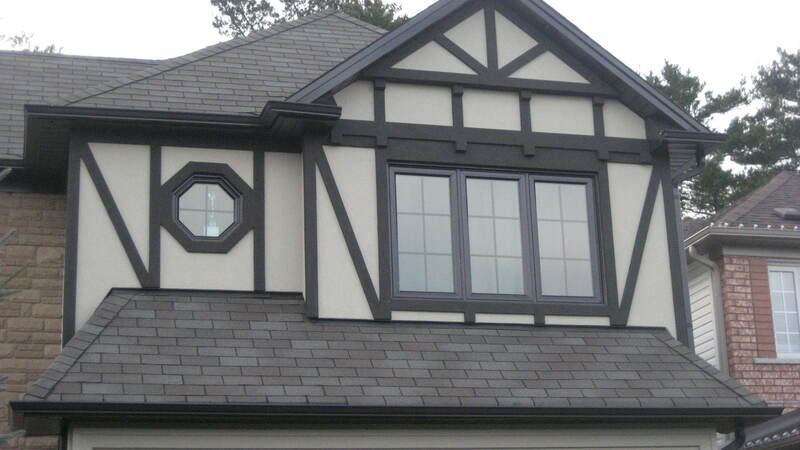 First and foremost, you’ll be adding curb appeal to your home by giving it an exterior facelift. Second, you’ll be bringing your home up-to-speed in terms of energy efficiency. And third, stucco/EIFS requires very little yearly maintenance.